I think that she's a very nice example of pastel. Do the yellow belly’s have any visual indicators of the morph? Besides what I’m assuming is a yellow “stomach”? Looking at some info online. 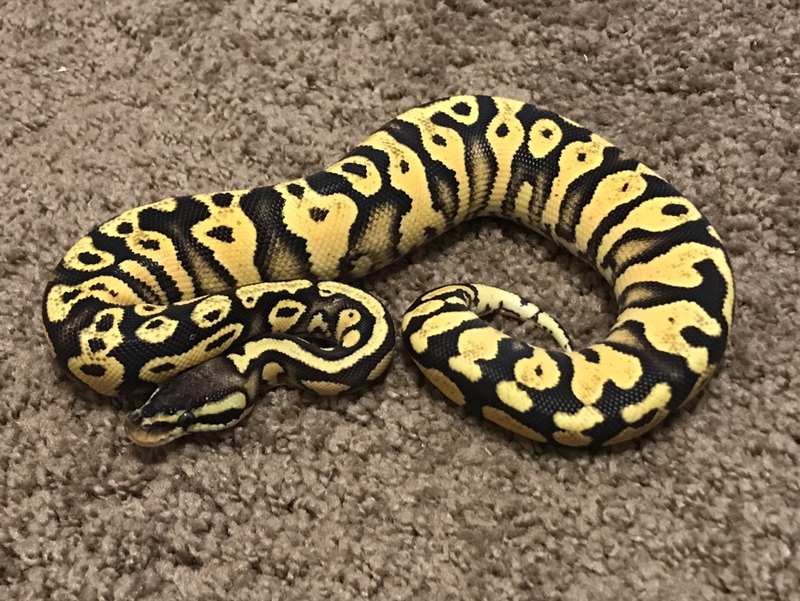 Looks to have some partial pinstriping and curious if this could be het pinstripe as the parent was a super pastel pinstripe. Also are there any visual indicators for het banana? Pinstripe and banana are co-dominant genes, not recessive. So there are no het pinstripes or bananas. If the snake has either of these morphs you can see it. If you can't see it, the snake doesn't have it. I see no pinstripe or banana on this snake. It's a very nice pastel though, maybe pastel yellowbelly.